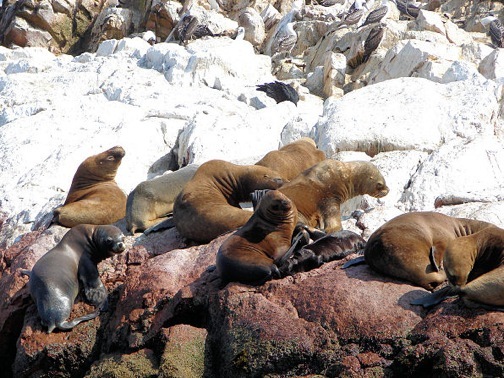 BALLESTAS ISLANDS– Often referred to as “the poor man’s Galapagos,” these islands west of Pisco are home to hundreds of thousands of birds, large colonies of sea lions, pelicans, penguins and dolphins. Boat tours visit the islands daily, taking passengers past the “Candelabra” (a hillside geoglyph seen from the coast) and then boating around the islands watching for wildlife. HUASCARÁN NATIONAL PARK– Established in 1975 to protect the picturesque mountain area of the Cordillera Blanca and the numerous historical sites found there, this UNESCO Mankind Heritage Site contains more than 650 glaciers, pre-Inca ruins, hundreds of lakes and more than 20 peaks over 19,850 feet. 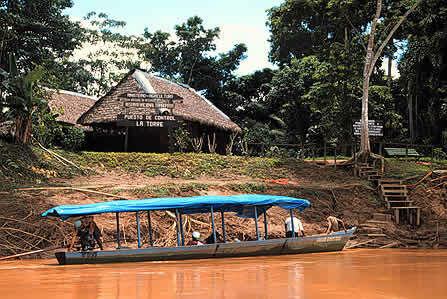 Native people who have inhabited the region for centuries still live within the park’s borders. 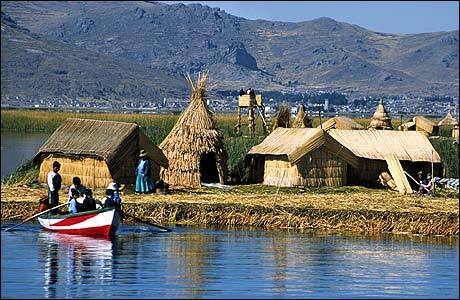 LAKE TITICACA– Perched at an elevation of 12,338 feet, this beautiful blue lake (the highest navigable lake in the world) has been inhabited for centuries by ancient cultures and remains steeped in legend. The main city on the Peruvian side is Puno, a good place to arrange tours, but it’s in the small communities on the islands or along the shores of the mainland where visitors will find clear water and sandy beaches. 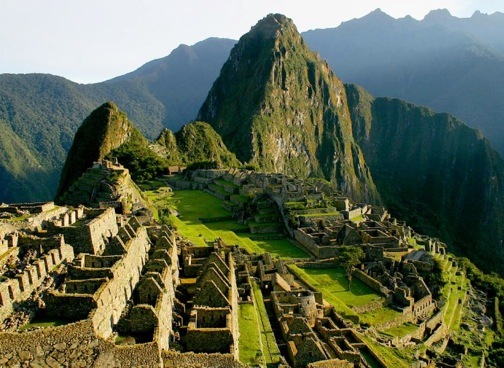 MACHU PICCHU– Built by Incas over 500 years ago, Peru’s most popular tourist attraction draws more than 500,000 visitors each year. It’s easy to see why, as the glorious architecture of the ancient city perched high above the clouds remains largely intact, with giant stone walls, old temples and luscious green terraces overlooking a canyon on the Urubamba River and the surrounding Andes mountains.